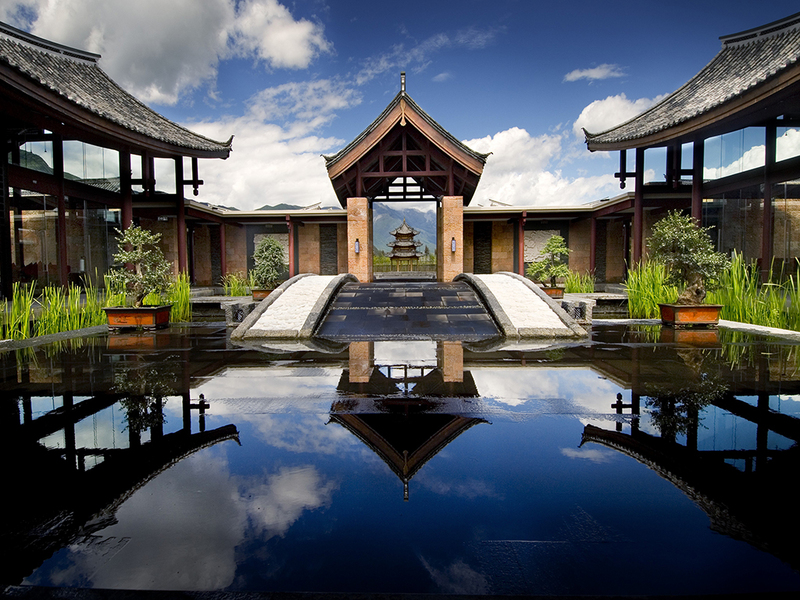 Banyan Tree Lijiang is located 2,000 m above sea level and is 40 minutes away from Lijiang Airport. It garnered an award for best luxury hotel and best spa resort in China during the 2007 China Hotel Starlight award ceremony. The resort is 15 minutes from the historical town of Dayan and basks in the shadow of the magnificently desolate Jade Dragon Snow Mountain. Spacious rooms and villas offer upscale amenities, plush beddings and upholstered seating. The ample bathrooms include free toiletries and shower facilities. Some rooms feature a jet pool, private swimming pool or private garden. Set in repose against a mountainous backdrop and right beside the tranquil cool of a koi pond, Bai Yun Restaurant provides you flawlessly authentic Cantonese cuisine cooked to oriental perfection. With the best of local and international dishes of gastronomic pleasures, Ming Yue Restaurant offers both indoor and al fresco seating. An intimate ambience tailor-made for rest and relaxation, the Wen Hai Bar provides uncompromising standards with its chilled out atmosphere, cocktail and snacks menu, and excellent lounge music.